LOCATION.--Lat 42°05'27", long 76°03'22" referenced to North American Datum of 1983, Broome County, NY, Hydrologic Unit 02050103, on left bank 400 ft downstream from County Highway 48 bridge, at Vestal, and 800 ft upstream from Choconut Creek. PERIOD OF RECORD.--March 1937 to June 1967, annual maximum only--1968-2009, October 2009 to current year. GAGE.--Water-stage recorder. Datum of gage is 799.19 ft above NGVD of 1929 (levels by Corps of Engineers) and 798.72 ft above NAVD of 1988. REMARKS.--Minor regulation by upstream lakes and reservoirs. 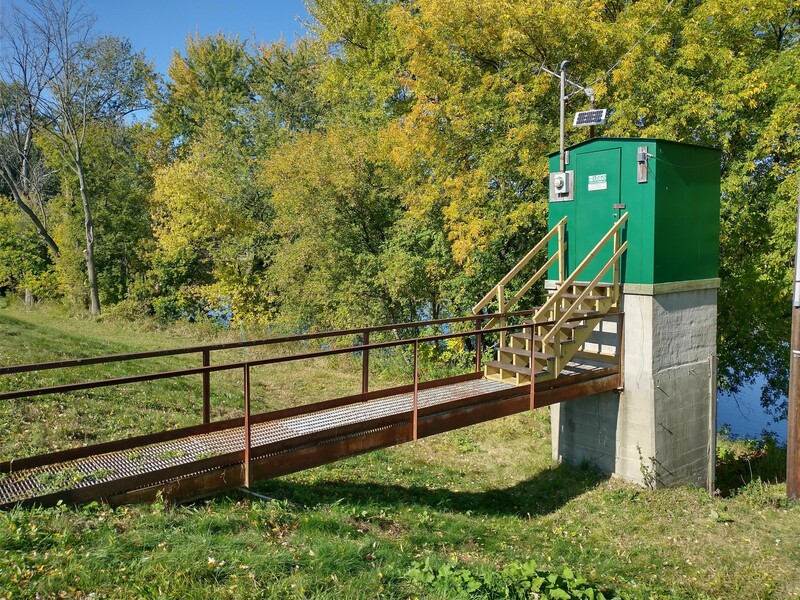 EXTREMES FOR PERIOD OF RECORD.--Maximum discharge, 129,000 ft³/s, Sept. 8, 2011, gage height, 35.26 ft; minimum discharge, 230 ft³/s, Sept. 20, 21, 1964; minimum gage height, 0.98 ft, Oct. 20, 1939. EXTREMES OUTSIDE PERIOD OF RECORD.--Flood of March 1936, reached a stage of 30.5 ft, from floodmarks, discharge, 107,000 ft³/s.